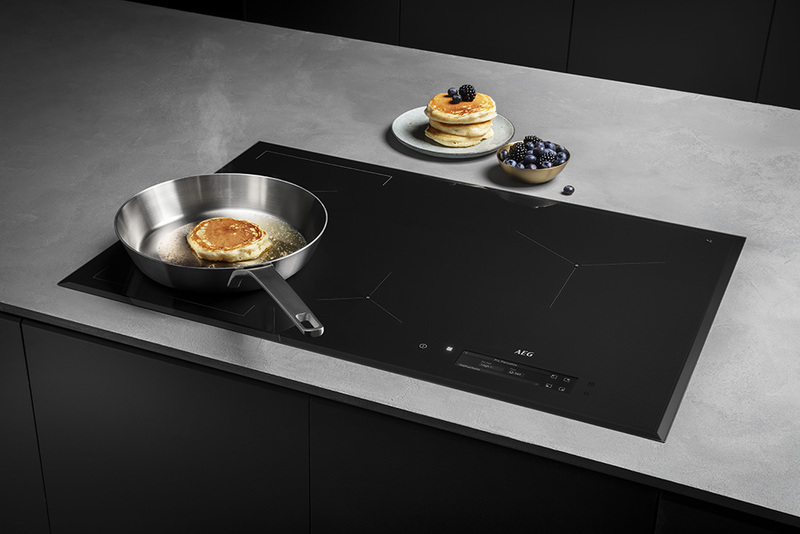 The new Electrolux SenseFry induction hob is now being launched across Europe. With its intuitive hob touchscreen and sensors, it maintains an even temperature across the surface of a pan to deliver great frying results and enhances the cooking experience. Cooking great tasting food with perfect frying results is a test for most consumers’ cooking skills. The new Electrolux SenseFry hob has sensors which accurately measure the temperature of the pot or pan within 1°C and adjust the power as needed, letting you know when the pan is ready to start cooking. The SenseFry hob comes with assisted cooking programs. On the intuitive hob touchscreen, the user can simply select the type of food to be cooked and the SenseFry identifies and maintains an even temperature across the surface of the pan to deliver the best frying results. Professional chefs regularly use sensors to know when food has reached the correct temperature. Now these features are made available for consumers in the SenseFry hob. The user no longer needs to guess when the pan is at the right temperature for frying a steak or pancakes. The assisted cooking programs adjust the temperature when cooking and help the user to feel more confident in the kitchen. SenseFry is part of the SenseCook hobs range; two other sensor-enabled induction hobs will be launched later in 2018. Produced at the Electrolux factory in Rothenburg, Germany, the SenseFry is now being launched in the Nordic countries, France, Central & Eastern Europe (CEE), Italy, UK, Iberia and Benelux under the AEG and Electrolux brands.